We offer homeowners insurance to customers in coastal areas where options aren’t available. 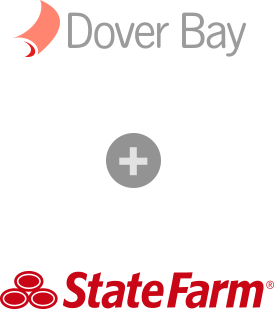 Dover Bay insurance products are marketed exclusively by participating State Farm agents. Dover Bay claims are coordinated by State Farm. Dover Bay is a wholly owned subsidiary of State Farm Mutual Automobile Insurance Company. Dover Bay Specialty Insurance Company (DBSIC), Bloomington, Illinois, is a wholly owned subsidiary of State Farm Mutual Automobile Insurance Company and is a surplus lines company outside the state of Illinois.